We’re an integrated design agency that’s dedicated to delivering value. Because we’re small we go further, work harder and think deeper. With us, you get pure, uncompromised creativity. Your brand should be the life-blood of your business, engaging your audience and creating a strong, emotional and memorable connection. 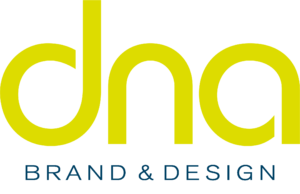 Whether it be a new brand, brand refresh or brand evolution, DNA can help you develop your ideas and positioning to deliver a compelling, evocative and memorable customer experience. Corporate literature remains one of the most important marketing tools at your disposal. With over 35 years combined experience, DNA will work with you to help you deliver, attractive and compelling communications that will ensure your project delivers your expectations and leads to more conversions and higher sales. Customers are the source of real growth. DNA provide a range of complementary services that can help you create sustainable, organic growth. Working with experienced copywriters, strategy and marketing experts, DNA brings an outside-in perspective and insight that help you to define your target market, characterise and accentuate your brand and help you to make informed business decisions. DNA believe that good packaging directly informs the success of a product or brand. Well executed packaging is a last chance to stand out from the competition and convince the consumer to buy the product. DNA have developed partnerships with successful household brands and small bespoke producers. We combine strategic thinking, product awareness and an eye for design detail to deliver distinctive character and memorability – working your product harder and increasing its shelf-life.